We are a small coffeehouse and roasting shop based in beautiful Lake Tahoe, Nevada. Family owned and operated by Craig & Marlo Quillin, along with our son Clyde (who is now driving). We are moving mountains in the third wave specialty coffee market. Our mission is to provide the highest quality coffee available from farm to cup. Our partnership with Vournas Coffee Trading, a boutique coffee firm, means we are able to provide direct sourced, hand-picked coffee beans attained through sustainable farming practices. We pick beans from fine specialty estates and co-ops with a mix of organic and fair-trade. 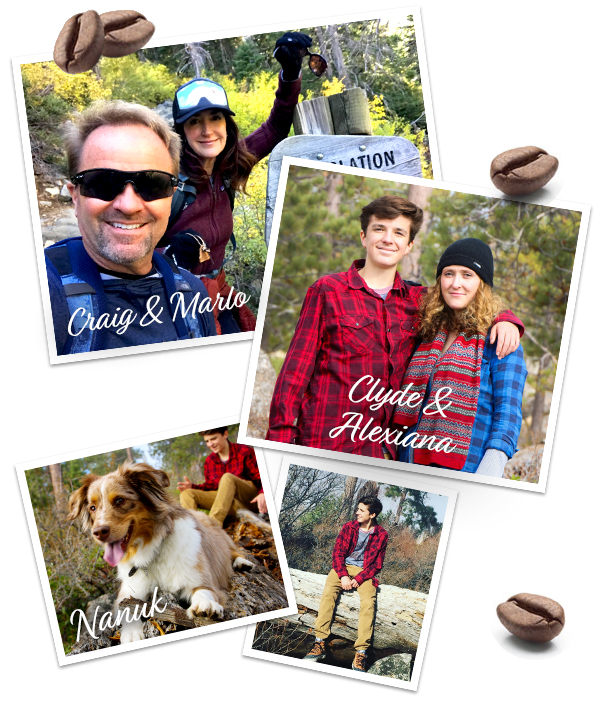 Combine our family’s addiction to coffee along with our relentless commitment to our great customers… not to mention Marlo’s endless perfectionism + Craig’s enthusiastic obsessiveness, and you get a quality roasted coffee every time!